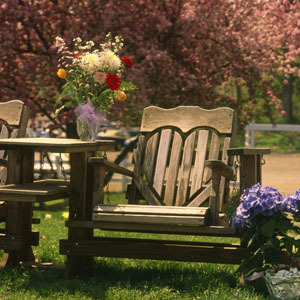 Carved chair with heart sits among flower displays providing an inviting plea to homeowner and visitors. If not now, when? it seems to ask. The days on the calendar are closer than they seem.